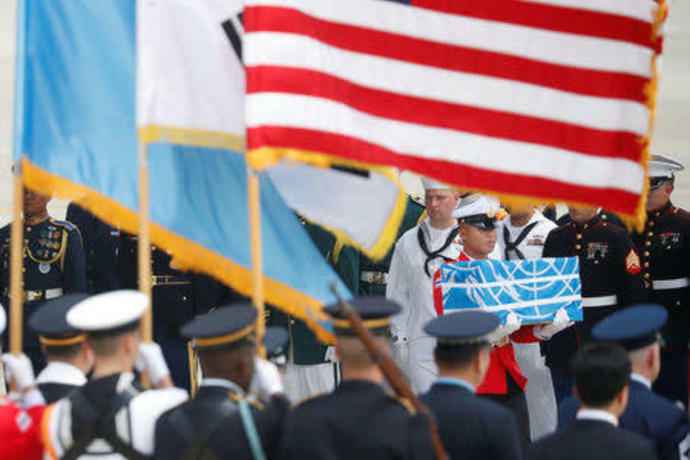 A soldier carries a casket containing the remains of a U. 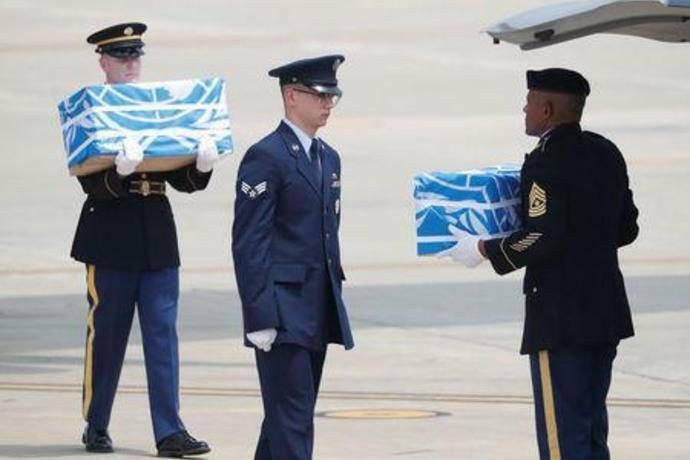 Soldiers carry caskets containing the remains of U.
SEOUL/WASHINGTON (Reuters) - North Korea transferred 55 small, flag-draped cases carrying the suspected remains of U.S. soldiers killed in the Korean War on Friday, officials said, a first step in implementing an agreement reached in a landmark summit in June. 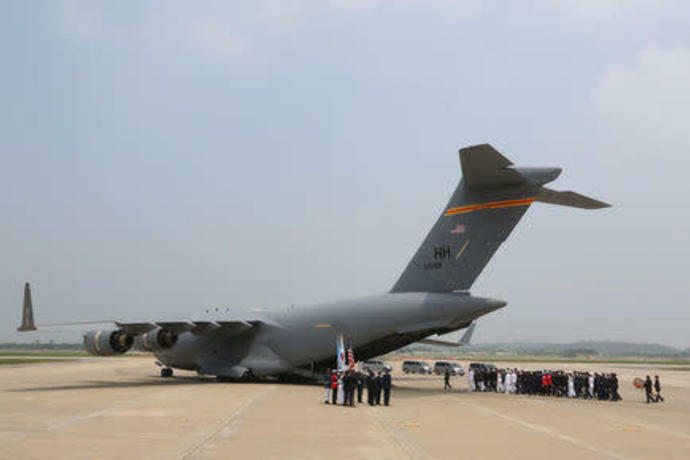 The repatriation of the remains missing in the 1950-53 conflict is seen as a modest diplomatic coup for U.S. President Donald Trump as it was one of the agreements reached during his meeting with North Korean leader Kim Jong Un in Singapore aimed primarily at securing the denuclearization of the North. A White House statement earlier said: "We are encouraged by North Korea's actions and the momentum for positive change." 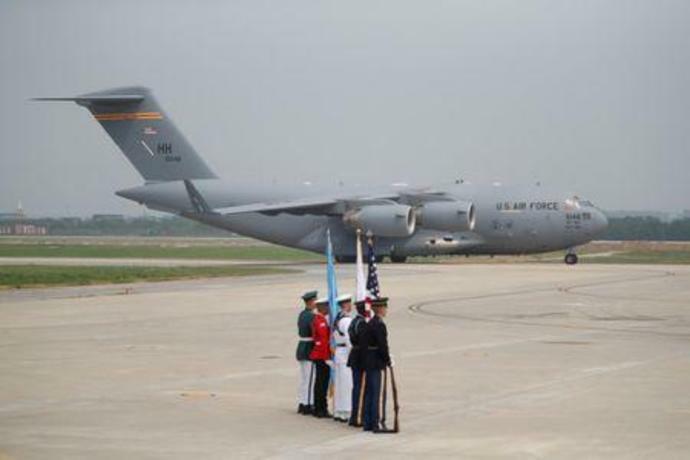 A U.S. military transport plane flew to an airfield in North Korea's northeastern city of Wonsan to bring the remains to Osan air base in South Korea, the White House statement said. 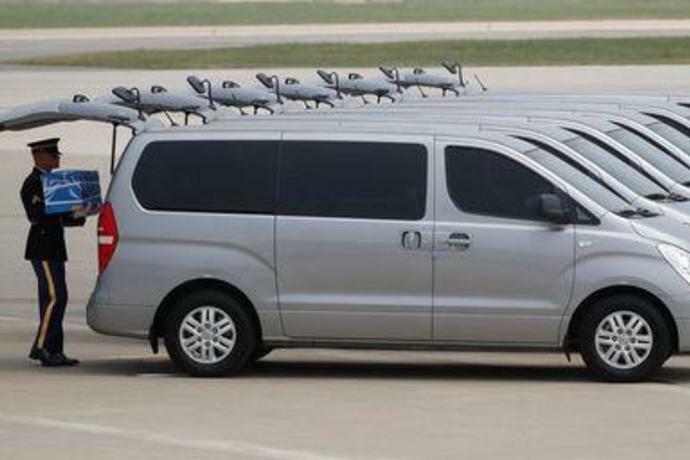 Soldiers in dress uniforms with white gloves were seen slowly carrying 55 small cases covered with the blue-and-white U.N. insignia, placing them one by one into silver vans waiting on the tarmac in Osan. 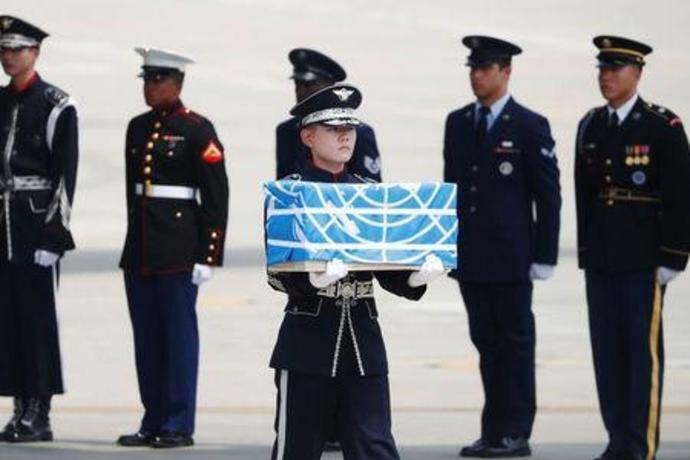 The remains would then be flown to Hawaii for further processing under the U.S. Defense POW/MIA Accounting Agency, the U.N. Command said in a statement. 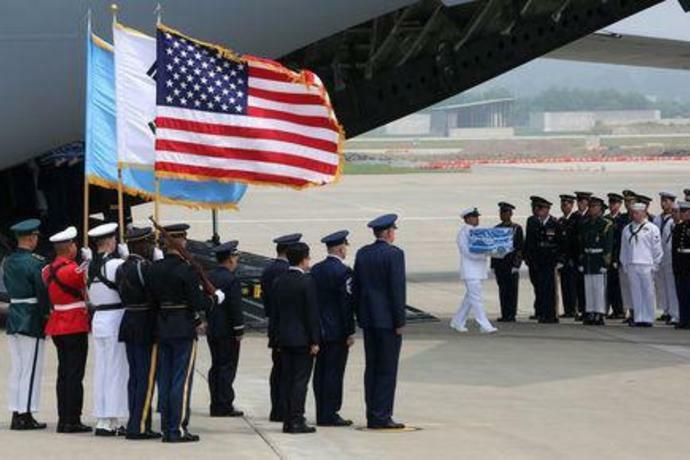 The transfer of the remains coincided with the 65th anniversary of the 1953 armistice that ended fighting between North Korean and Chinese forces on one side and South Korean and U.S.-led forces under the U.N. Command on the other. The two Koreas are technically still at war because a peace treaty was never signed. Kim paid tribute to the North's Korean War "martyrs" and to Chinese soldiers killed in the conflict, state media said. 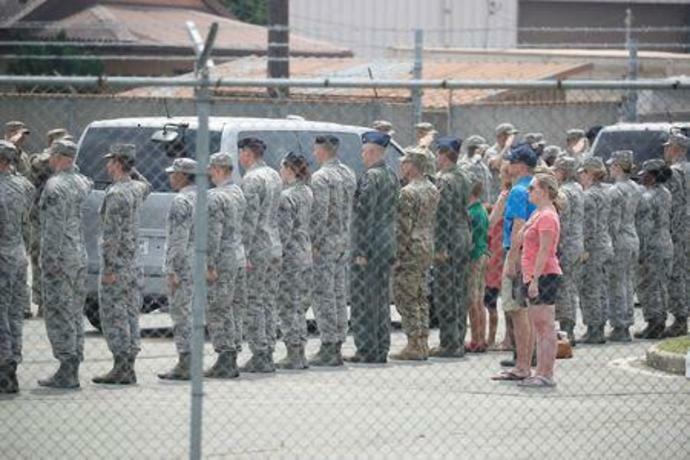 The pledge to transfer war remains was seen as a goodwill gesture by Kim at the June summit and, while it has taken longer than some U.S. officials had hoped, the handover will rekindle hopes for progress in nuclear talks. Kim committed in a broad summit statement to work toward denuclearization but Pyongyang has offered no details. 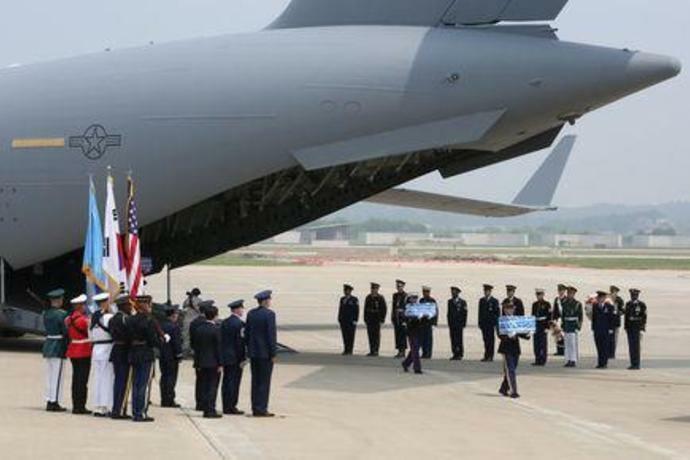 South Korea welcomed the return of the remains, calling it "meaningful progress that could contribute to fostering trust" between Pyongyang and Washington. The two Koreas agreed to hold general-level military talks on Tuesday to discuss ways to implement their own summit in April in which they vowed to defuse tensions, Seoul's defense ministry said on Friday. 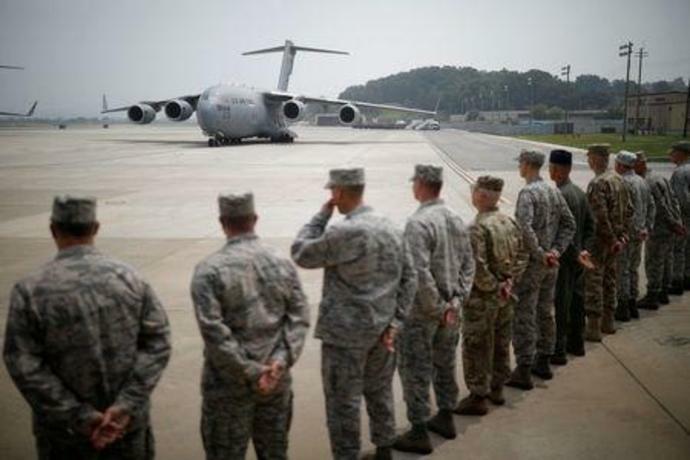 South Korea also said it plans to cut the number of troops from 618,000 to 500,000 by 2020 and the number of generals from 436 to 360 as part of military reforms. 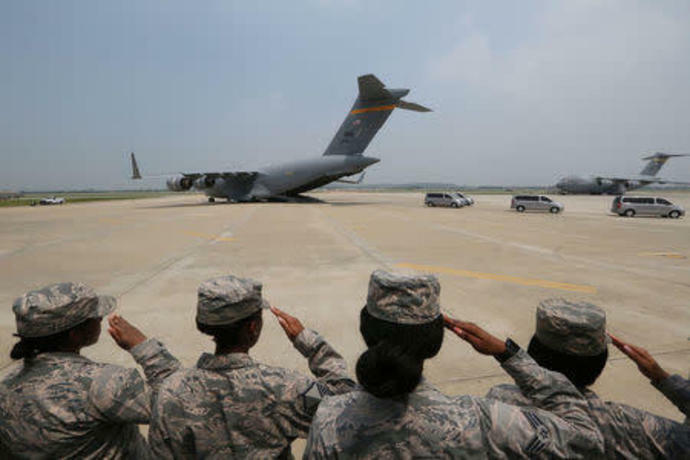 The plan comes amid a thaw in relations between the two Koreas and days after the South pledged to reduce guard posts and equipment along the demilitarized zone on its border with the North. It would spend 270.7 trillion won ($241.8 billion) on the reforms from 2019-23, which translates into a 7.5 percent rise in its annual defense budget, the ministry said in a statement. The U.S. State Department says Washington is committed to building a peace mechanism to replace the armistice when North Korea has denuclearised. U.S. Secretary of State Mike Pompeo told a Senate hearing on Wednesday North Korea was continuing to produce fuel for nuclear bombs despite of its pledge to denuclearize, even as he argued that the United States was making progress in talks with Pyongyang. The U.N. Security Council has unanimously boosted sanctions on North Korea since 2006 in a bid to choke off funding for Pyongyang's nuclear and ballistic missile programs, banning luxury goods said to include recreational sports equipment. 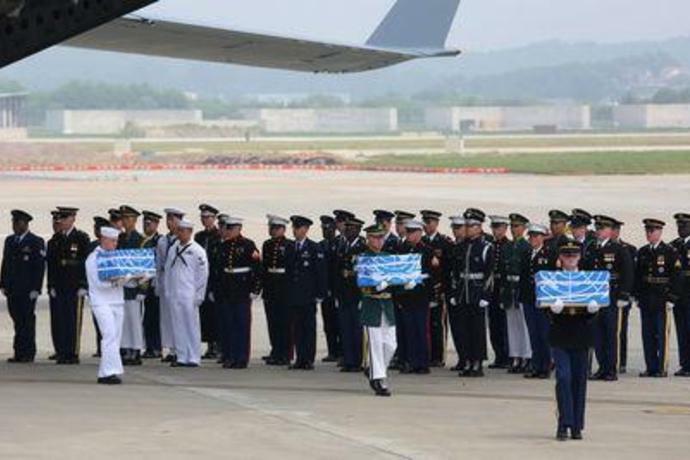 Before Friday's transfer of remains, the United States and North Korea had worked on so-called joint field activities to recover Korean War remains from 1996-2005. Washington halted those operations, citing concerns about the safety of its personnel as Pyongyang stepped up its nuclear program. The program helped bring in vital hard currency to North Korea, which has been under U.S.-led sanctions for decades. However, reviving it could complicate U.S. efforts to persuade countries around the world to maintain economic pressure on Pyongyang over its ballistic and nuclear programs.